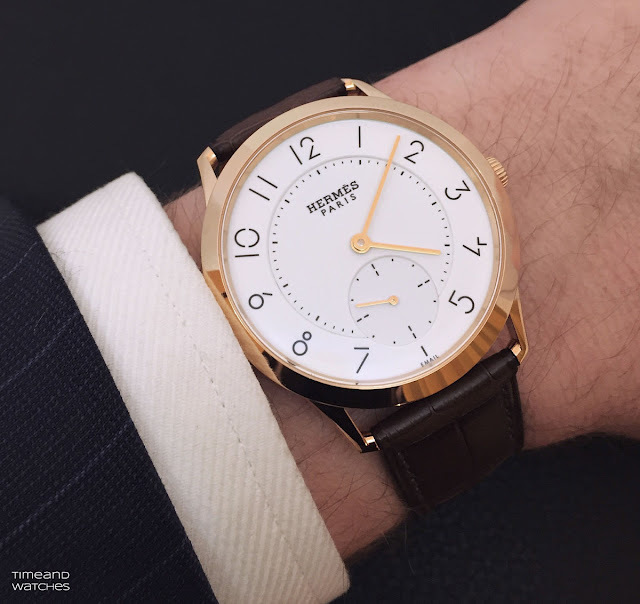 Presented last year at Baselworld 2015 and enriched at the beginning of this year with the new 2016 models, the slim d'Hermès line keeps expanding with its most precious version, the slim d'Hermès Email grand feu. 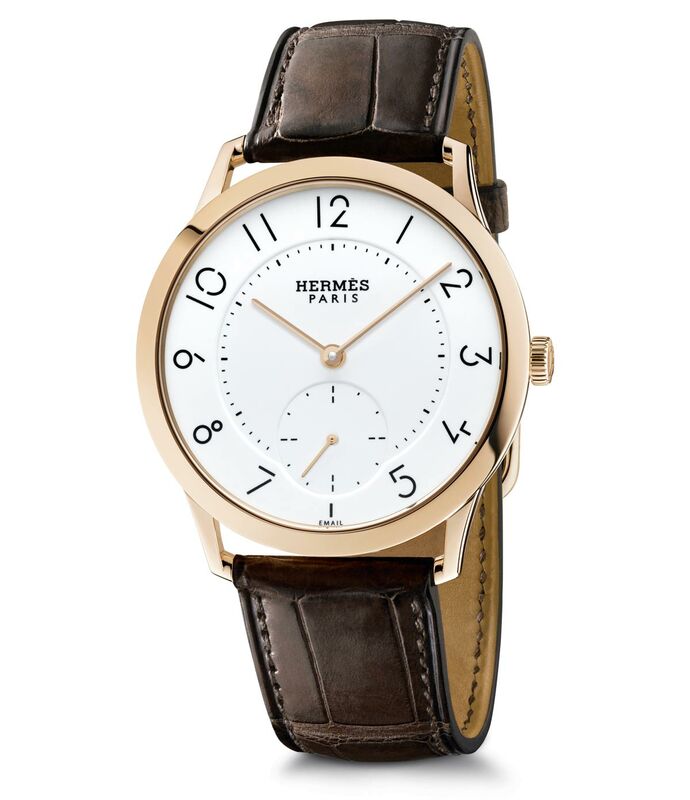 The slenderness of the case with the lugs forming a right angle and the distinctive dial with the unusual and exclusive font make the slim d'Hermés an understated and minimalist timepiece with a unique style. Hermès associates now the Slim d’Hermès Manufacture with Grand Feu enamelling, a rare technique which requires great mastery and expertise, especially in case of a three-layered dial like the one of this model. 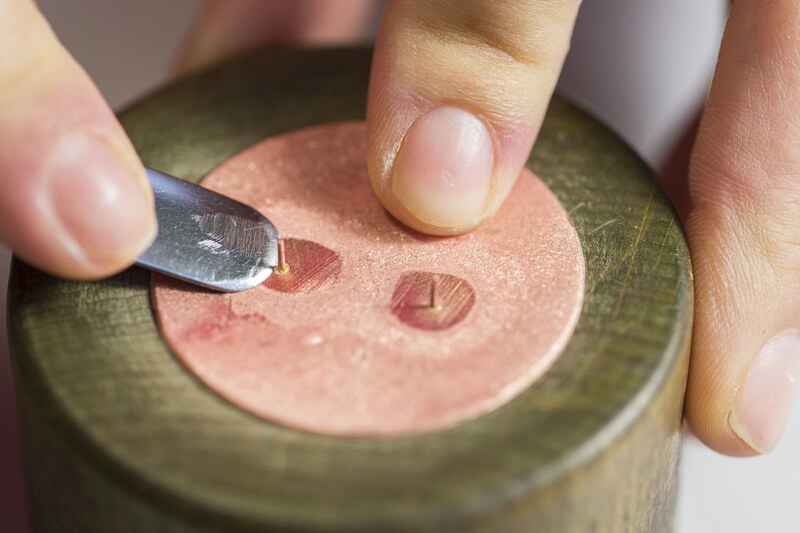 The first stage consists in placing two tiny 'feet' on a copper plate, which will subsequently serve to affix the dial to the movement. 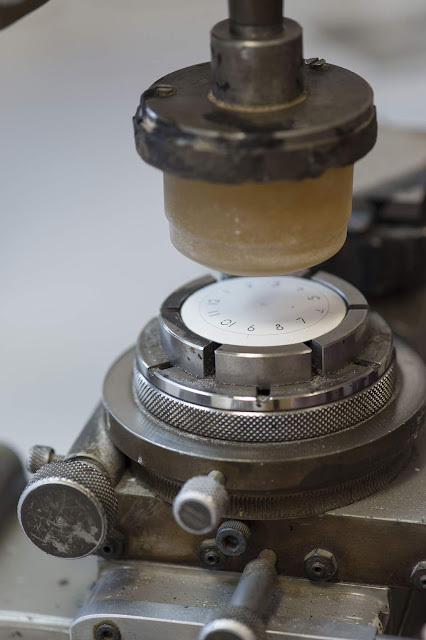 Having placed the plate on a curved wooden supporting base, the artisan rubs the surface to condense, rigidify and trim it down to a final thickness of just 0.2 mm. This process gives it the robustness required to avoid any warping that would cause the glass enamel to crack. Then comes the enamelling. The copper disc is coated on both sides with an inflammable liquid based on a secret composition. 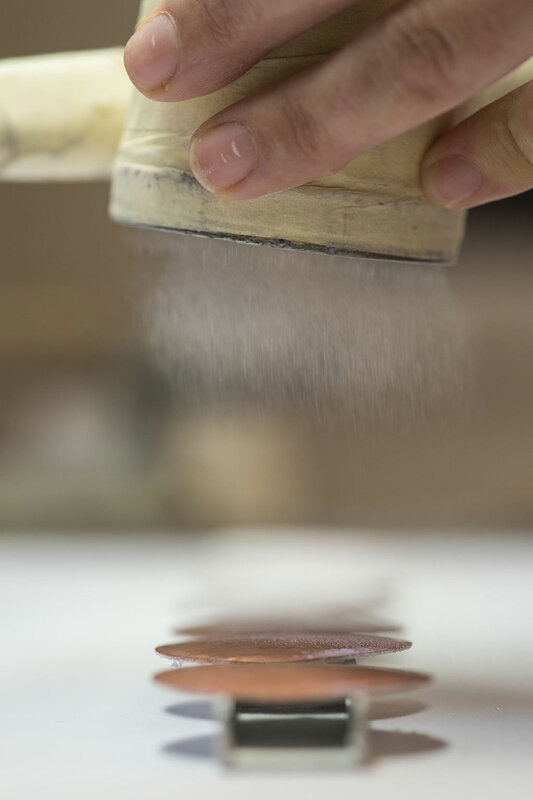 Using a fine brush, the enameller then applies thin regular dusting of white enamel powder, before firing it in a kiln heated to 830°C, which is why this technique is known as "grand feu" (great heat). The enamel powder fuses with the copper surface. 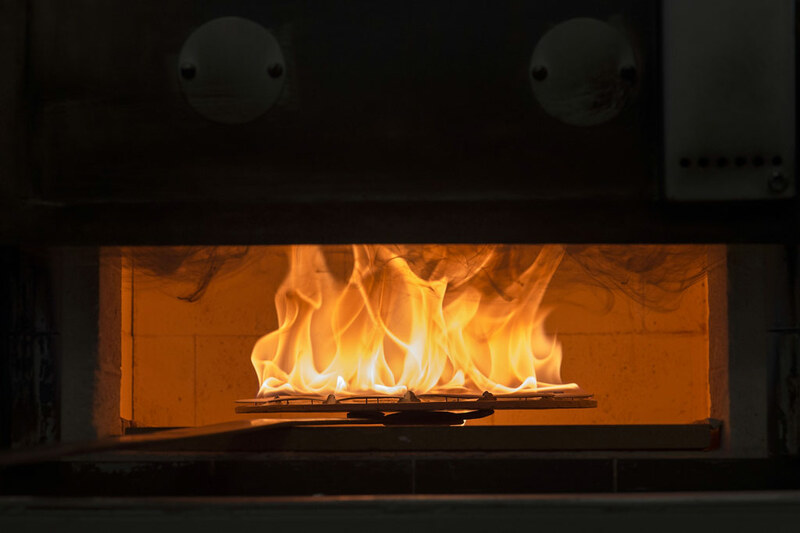 When the artisan decides that the appropriate melting point has been reached, the disc is removed from the kiln. The first layer is still transparent, blistered and green as a reaction to copper. The artisan repeats the same operations of coating, dusting and firing five or six times until the resulting enamel is intensely white, smooth and shiny. 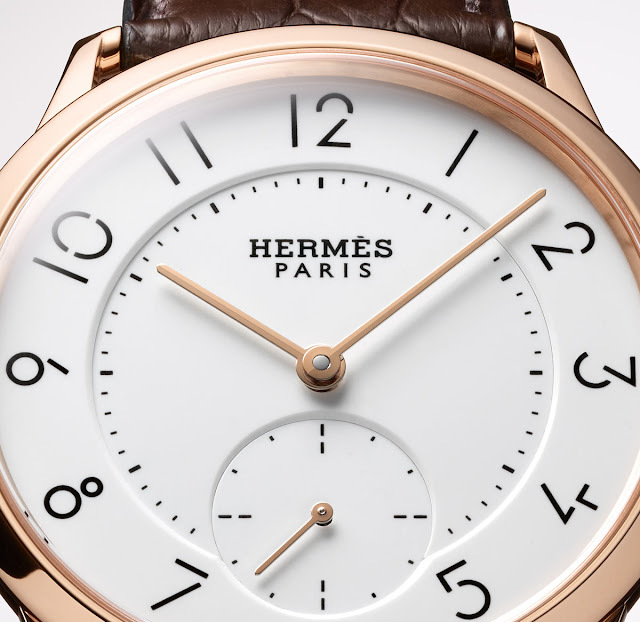 The white enamel adorns three dial levels: a first circle bearing the hour-markers, a second in the centre, and finally a tiny small seconds subdial at 6 o’clock. To transfer the hour-markers onto the white disc, the artisan transfers the black enamel paste onto the immaculate enamel by means of repeated operations with a dedicated gelatine pad. A new firing in the kiln sets the inscriptions definitively in their appointed place and a piece of charcoal is then pressed over the surface to ensure it is perfectly flat. As the last phase, the artisan perfects the circumference of the enamelled disc, hand-filing the edges to ensure the smoothest appearance. Then, the three parts of the Slim d’Hermès Émail grand feu are finally soldered. The grand feu enamelling technique is very demanding (a single dial calls for eight hours of work) but it guarantees unique qualities, such as the inalterable intensity of its colour, as well as its surface featuring an organic and vibrant effect. 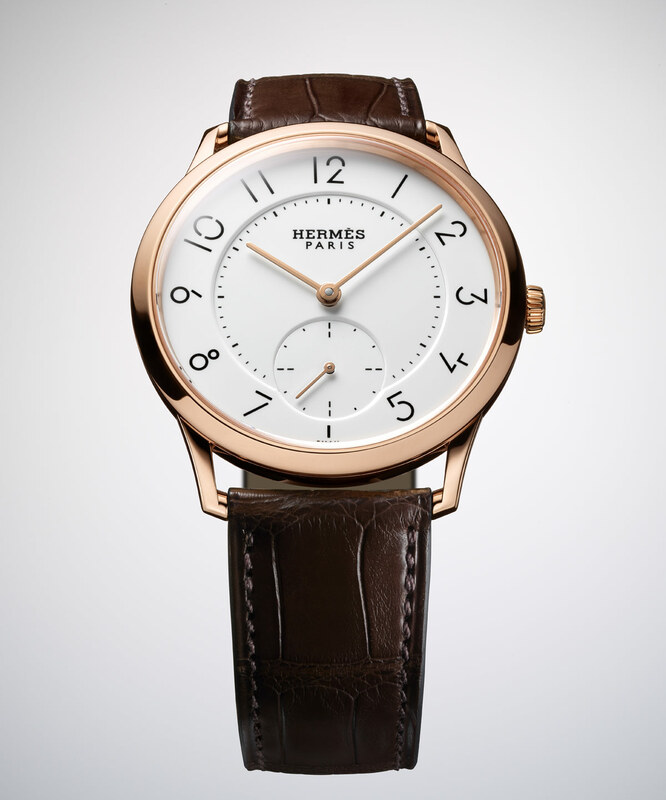 The Slim d’Hermès Email grand feu comes with a 39.5 mm rose gold case and is powered by the H1950 ultra-thin movement driving displays of the hours, minutes and small seconds at 6 o’clock. 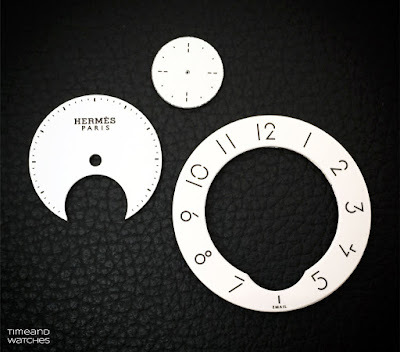 Automatic winding is ensured by a micro-rotor which enabled Hermès to contain the thickness of the calibre to just 2.6 mm. The power reserve is 42 hours. 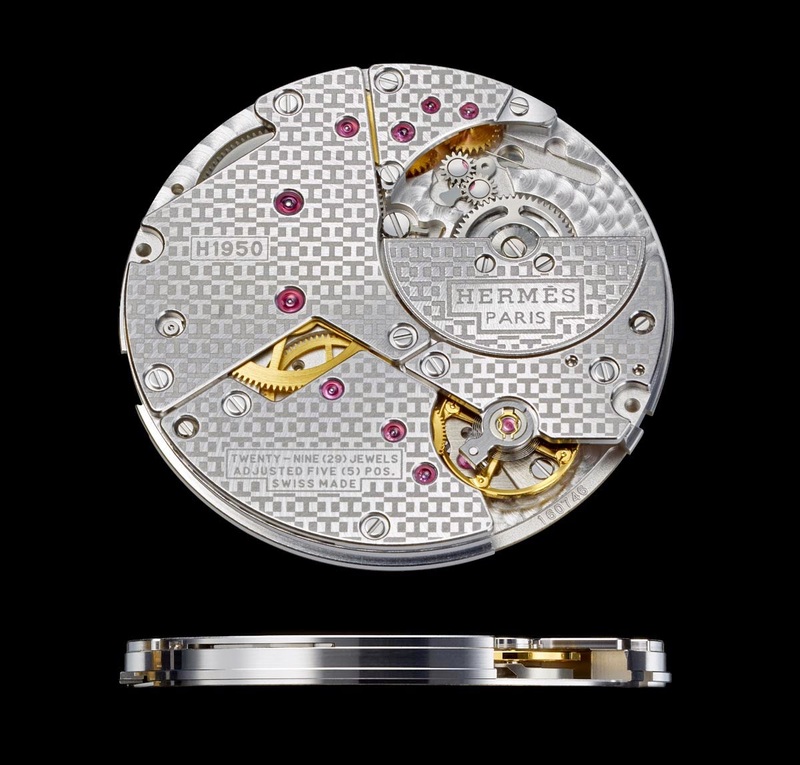 Revealed through the transparent sapphire crystal caseback, the 3 Hz (21,600 vph) movement is adorned with the "sprinkling of Hs" motif with hand-bevelled bridges. 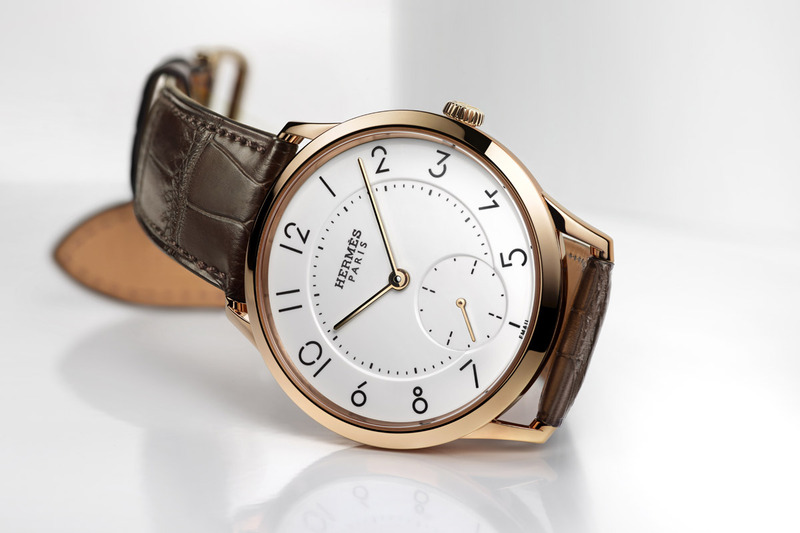 One of the best new dress watch seen in the last few years! Not just fashion! Agree. Another brand that was underestimated as a watchmaker is Bulgari but now they are making many very good wristwatches. Hermès slim d'Hermès Email grand feu. The slim d'Hermès line keeps expanding with its most precious version, the slim d'Hermès Email grand feu. 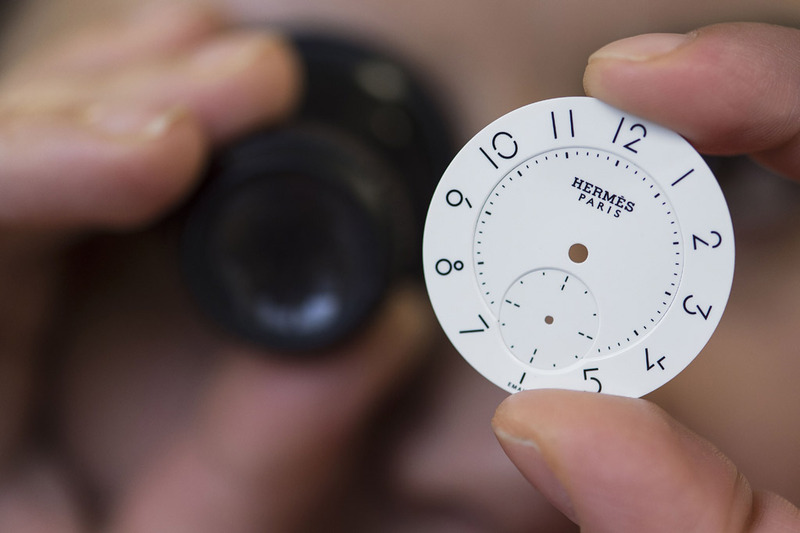 The Slim d’Hermès Email grand feu will be produced in just 100 pieces with a price of Swiss Francs 21,400 / Euro 19,400 / US$ 23,000.